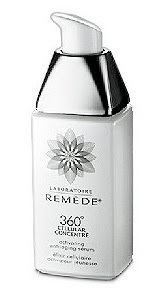 Remede sent me their 360° Cellular Concentre Serum to try. A clear, cooling serum with firming brown algae, healing nymphae flower extract, and soothing vitamin E, it is perfect for those days where your skin needs a little TLC. I love it after a hot shower and before moisturizer.